Melissa Amster: Marian Keyes is one of the reasons I started Chick Lit Central. Melissa P and I bonded over her books when we re-connected on Facebook back in 2009. Then I won one of her books from Novel Escapes in 2010. Wanting a community with which I could discuss chick lit and wanting to be able to share amazing novels like Marian's with other readers brought about the Facebook group and then this blog. Marian's writing never fails to amaze me and I love the characters and story lines she creates. When she favorites or replies to my tweets, it's better than getting such a response from a famous celebrity. Melissa Patafio: I love Marian Keyes because she has such lively and witty characters. Her stories always have at least one silly, off-the-wall character that I just adore. My favorite of all time is Helen Walsh. She's hilarious! I also like how many of her characters from other books reappear from time to time. It keeps me feeling connected to them. 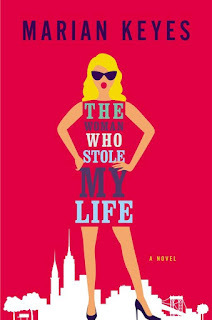 Today, we're pleased to present Marian Keyes' latest novel, The Woman Who Stole My Life, a hilarious story about an Irish beautician and her unorthodox path to love and fame. Thanks to Viking, we have FIVE copies for some lucky US readers! Age: forty-one and a quarter. One day, sitting in traffic, married Dublin mom Stella Sweeney attempts a good deed. The resulting car crash changes her life. She meets a man who wants her telephone number (for the insurance, it turns out). That's okay. She doesn't really like him much anyway (his Range Rover totally destroyed her car). But in this meeting is born the seed of something that will take Stella thousands of miles from her old life and whisk her away to New York, turning an ordinary woman into a superstar, and, along the way, wrenching her family apart. Is this all because of one ill-advised act of goodwill? Was meeting Mr. Range Rover destiny or karma? Should she be grateful or hopping mad? For the first time, real, honest-to-goodness happiness is just within her reach. But is Stella Sweeney, Dublin housewife, ready to grasp it? 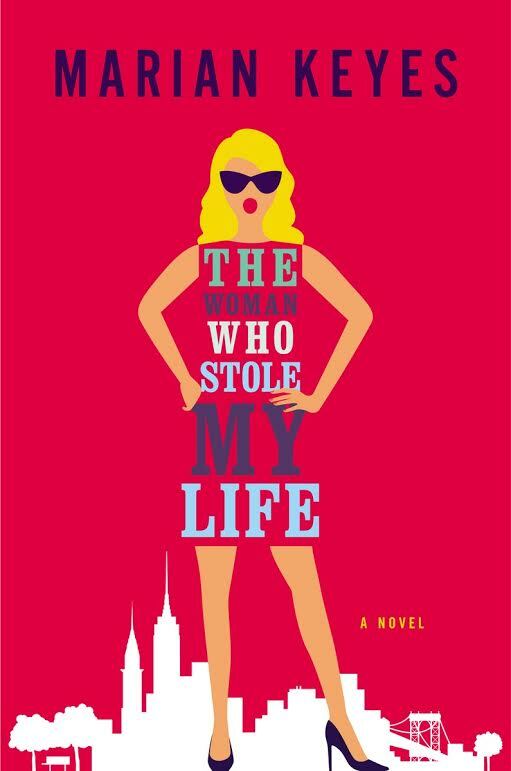 Marian's stunning new novel, The Woman Who Stole My Life, is about losing the life you had and finding a better one. 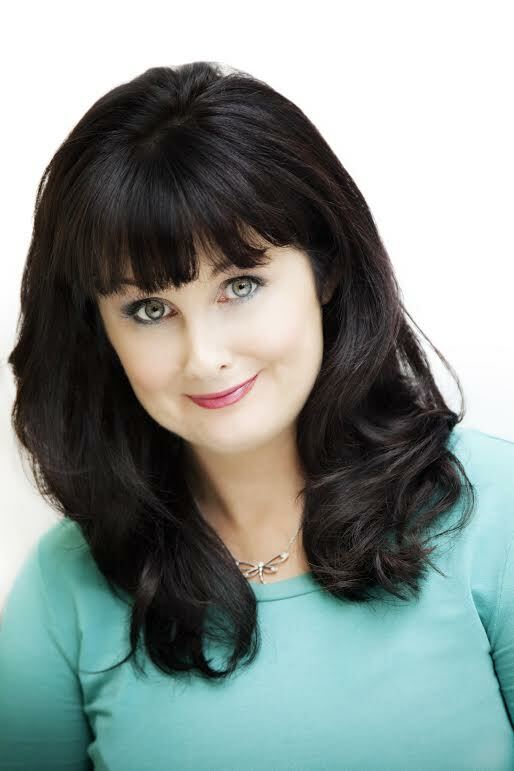 Marian Keyes is the internationally bestselling author of more than ten novels and two autobiographical works. Several of her novels have been adapted for British television and film. She was born in Limerick in 1963, and brought up in Cavan, Cork, Glaway, and Dublin. She now lives in Dun Laoghaire with her husband, Tony. Visit Marian at her website, Facebook, and Twitter. US only. Giveaway ends July 13th at midnight EST. When I was younger, I had a friend who used to borrow clothes from me. She ended up with quite a big assortment. She also used to borrow money all the time too. When I finally got the nerve to ask for them back, I found from her mother that she had moved taking everything with her. So, that's a good deed turned bad and also something stolen from me. When I was living in San Diego, our car was stolen from the parking garage of our apartment complex. I had a friend who lost or stained any clothes I lent her, I learned fast not to lend her anything. I had a "friend" take a necklace from my bedroom. She denied taking it, lied right through her teeth. I was in junior high and it was the first time I encountered a liar. I'd come across many more. It's how I learned not to loan out my books. If I loan a book now, it's a book I don't mind giving away. I was very foolish and loaned out my favorite Stephen King first edition book and it was never returned. I hinted at its return, but I never demanded. So I had to buy another one. I had a co-worker, who I thought was my friend, got pregnant and her mom kicked her out. She had no where to stay, so I paid a few nights for her to stay at a hotel until she squared things away. She ended up having an abortion because the guy didn't want the baby. He was engaged and his fiancé was pregnant too. She knew this guy was engaged. Shortly thereafter she hooked up with my cousin. She told him she had a miscarriage he asked me if that was the case I said no, so instead of her coming out clean she continued to lie. As a result we no longer are in speaking terms. It's been over 10 years now. My apartment was ransacked and I lost a jewelry box. The contents had such sentimental value. I had money stolen from me when I took it to the beach when I was a young and foolish teenager. I was trusting and naive back then. I've had money stolen from me. And my kids like to steal my chocolate. Very rude! When I was a teen, someone stole my Schwinn bicycle. I had a lock on, it but it was sawed through. I had to walk home. I don't lend things out anymore because they come back broken. Someone stole the car stereo that my husband and kids bought me. i had 2 rings stolen from me when i was in high school both given to me by family members and i never did get them back. We had our lawnmower stolen from our garage when I was in the house, I never heard a thing. I am a recent victim of identity theft. It has been an absolute nightmare and I can't begin to tell you how much time I've spend on trying to deal with it. Our grandparents had a beautiful home in the south of france (not really as glamorous as it sounds). Because my mom and her sister had a falling out, and the MEN in their lives go involved (something our grandfather tried to avoid by making it the sole possesion of his daughters) my mother sold her half to my aunt. We (the girls of the family) had no say.... and the house was gone... just like that. Fortunately, I guess, nothing comes to mind. Nothing of mine was stolen, thank goodness! But after my dad was killed, my sister got his ruby ring. Very shortly after that their house was robbed (they actually walked in on them!) and the ruby ring was gone along with lots of other stuff. Even I was sad that his ring was gone. Dated a jerk, helped him get an attorney and I can see now why I broke it off so long ago! I had a "friend" in junior high who took a gold necklace from my bedroom and then looked me in the eye and said she didn't. I know she took it. It was the first time I came across a true liar in my life, but unfortunately, it wouldn't be the last. I loaned someone money and never saw them again. I had a Barbie stolen once. I loved those Barbies!!! Learn the hard way, you don't loan money. Was suppose to only be a short term loan, since they had filed taxes and was suppose to get back when check come in. They kinda forgot that (been 5+ years and no money back). i had money stolen from me when i was near death in the hospital. i went to court, got a judge's order, then garnished his wages. in the meantime he had filed for bankruptcy. he was ordered to pay monthly payments... took awhile, but i never gave up! I had an awesome Coca-Cola rugby back in the day. I left it a friend's house after a sleepover. I kept asking for it back and it never happened. Lucky I didn't leave my Guess overalls or Swatch watch behind!